Technology On Cloud offers complete range of training courses in Salesforce.com (SFDC), Force.com, Apex & Visualforce. Delivered in a variety of formats our training courses are suitable for both individuals and organizations. Whether you are looking for a training course for yourself or for your organization, select a training format that suits you most to view the details and contact us for further information. Delivered in Live Online format, anyone from anywhere in the world can attend these training and workshops. All you need is a PC and Internet connection. Complete details on this online training methodology is available here. 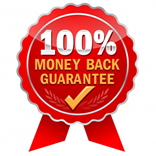 Our online courses have 100% Money Back Guarantee. If you are not satisfied, just let us know and we will refund 100% of your money back to you - no questions asked. For corporate and groups we also schedule batches on demand in live online format. In an on demand training format the batch will be scheduled as per your preferred dates and time exclusively for your participants. Please Click here to check out the details of our on demand training. We also conduct in-class training in US, Canada, UK & Australia. We are finalizing our schedule for in-class training in these cities. Please visit this page later or email us at contact@technologyoncloud.com for in-class training inquiries. In addition to providing live online training on Salesforce.com, Technology On Cloud also organizes onsite training on demand, where our trainer will travel to your location and will impart training in your facilities. In order to promote our onsite training programs Technology On Cloud is offering a crazy onsite training promotion in USA, Canada, Europe & Australia at one all inclusive prices. Click here to check out the details of our special promotion on onsite training.